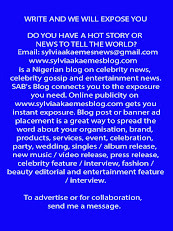 Laura Ikeji-Kanu has heaped praises on her billionaire blogger sister, Linda Ikeji, saying that everyone in her family is now financially strong because of her.Lagos-based fashion entrepreneur, Laura Ikeji Kanu, has taken to her Instagram page to celebrate her elder sister and popular blogger, Linda Ikeji. 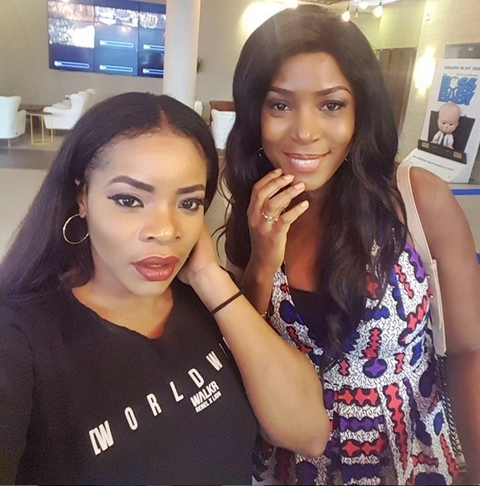 Laura who is married to Kanu Nwankwo's brother, Ogbonna Kanu, hailed her famous sister for her kindness, love and understanding as she thanked her for her success in life. She reevaled that Linda is the source of their family's financial freedom and stability, and has carried everyone along with her, making sure they all achieved a good level of financial independence. "This is my sister, her name is Linda, Linda is rich , not just money rich, she's rich in wisdom, knowledge and understanding. Linda made sure everybody in the family is rich. She didn't only give us some ridiculous some of amount sometimes, she gave us knowledge, she made sure that when she withdraws our monthly allowances we could stand on our own. I haven't received any money from her in while, it was a choice because if I needed money all I needed to do was ask, but fortunately I learnt well from her and I'm not doing badly at all. She gave me fish and taught me how to fish. I took the Knowlege n I'm doing some amazing things with it #INCOMPLETE. Linda didn't have to, she doesn't owe us anything but she did. The Ikejis 're finacially strong individually because Linda decided to be Amazing Linda. #mysisterrocks #mondaymotivation #lindaismysister #iamgrateful"